Taking your boat out on the river or on a lake can be a relaxing yet thrilling experience. However, for that to happen, you first need to make sure that your boat is in the right condition to take that trip with you. For a few tips on how you can maintain your boat, read below. Being informed about the boat, the needs it has, what you can and can't do on it, and more, won't only help you maintain it properly, but it will actually help you have smoother, more enjoyable rides while you're on it. For that reason, it's highly recommended that you read your owner's manual to get a better idea of how to care for your marine vehicle and how to control it. Needless to say, you should inspect your boat on a regular basis if you want to guarantee that it won't leave you stranded while you're out on the water. It's also a good idea to have a checklist by your side and perform a quick inspection round with it before each time you plan to sail away. If you notice anything is off during the round, it's better if you address the issue so you can remain safe. Remember to pay special attention to the components below. The fuel system in your boat should be in optimum condition if you want to have safe and fun rides. After all, it supplies the power, so check that it's not damaged or leaking. Also, be sure to refill its fuel properly before you leave. Your boat has a cooling system that helps it regulate its temperature and prevents it from shutting off. The water pump is an integral part of this system, which is why you should look after it before sailing. Check it thoroughly, and ensure that the rubber impeller is good to go. Replace it as you see fit. Your boat also needs a battery and electrical system in order to make certain components work. As you can imagine, however, this won't be possible if the fuses are out, if the battery is dead, or if there are other imperfections with them. Take care of them to ensure this won't be the case. Having an accident, being injured, facing a fire, among other emergency situations are a possibility when you're on a boat. To help you deal with them effectively, keep safety equipment on your boat, and make sure that it's ready to be used if it's ever needed. Finally, you shouldn't neglect your boat's fluids, as they help several of its components run efficiently. For example, you should provide a synthetic oil change for your engine every so often, to guarantee that it will continue working good as new for a long time. If your boat's engine needs new oil, choose the best synthetic oil. Lifetimeoil carries AMSOIL's line of high quality products that can deliver the results you seek. Call (612) 819-8835 for more information on how AMSOIL can save you time and money. 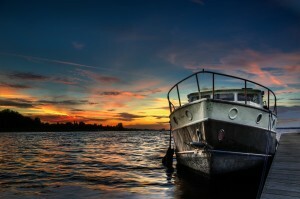 An easy and inexpensive way to maintain your boat in top shape for longer is to keep it clean. Washing it often will help you get rid of dust particles, dirt, and other gunk that could deteriorate your boat and its components, affect their performance, and shorten their lifespans. Keep your boat clean so that it looks nice and stays functional for a long time. As a last tip, you should visit your boat's mechanic on a regular basis. Taking it in for routine inspections with a professional will help detect any issues on time, so you can prevent mishaps and accidents out on the water. Moreover, a mechanic will be able to fine-tune your boat and keep it running in perfect shape for the foreseeable future. Call Lifetimeoil to Get the Best Synthetic Oil! Remember that Lifetimeoil works with AMSOIL products, which means that they have what you need to keep your vehicle in top working condition. Call (612) 819-8835 or browse the online store to get the best synthetic oil for your boat's next synthetic oil change. If what you're looking for is profitable home-based business opportunities, you can also contact Lifetimeoil to learn more about how you can become an independent AMSOIL dealer. They'll guide you through the process so you can gain the financial freedom you yearn.